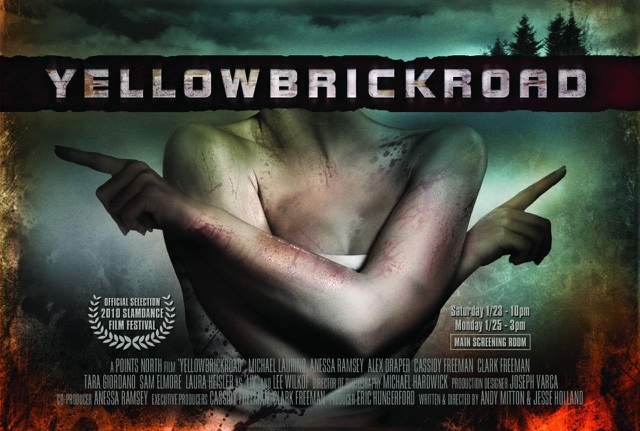 YellowBrickRoad (2010) film review. Directed by Andy Mitton and Jesse Holland. Distributed in the UK by High Flyers Films PLC, originally in 2011, also repackaged in 2014 under a different title &#39;Vanished&#39;. Certificate 15, running time 96 minutes. From COMPOUND B, A POINTS NORTH FILM. Starring Michael Laurino, Anessa Ramsey, Alex Draper, Cassidy Freeman, Clark Freeman, Tara Giorando, Sam Elmore, Laura Hesner. Written and directed by Andy Mitton and Jesse Holland. In 1940 the entire population of Friar, New Hampshire walked up along a winding mountain trail, and were never seen again. The US army search party found bodies, mainly frozen to death, some mutilated, only one survivor who talked gibberish and was driven mad by his experience. Years later a writer, his wife and best friend decide to investigate the mystery behind this missing town, in which the Government has made all information classified. They intend to walk the same trail, and find out the clues to this mystery when over 275 souls suddenly disappears. To which the current townsfolk of Friar name the Trail as YellowBrickRoad, after the towns obsession with the movie Wizard Of OZ, before they upped and left on their fateful journey. This film ain't no fairy tale, a film that I mentioned in a comment yesterday about how film companies have license to change titles, well now in the UK this film is distributed by High Flyers Films PLC and the name and title has been changed recently to Vanished, but whatever title it is called, although YellowBrickRoad should have always been the title, due to the Wizard Of OZ references, this film is really a disturbing piece of filmmaking. A film now almost 7 years old, and I only watched yesterday, amazing how good films can pass you by, another wilderness style film, in the vain of Blair Witch, but without the shaky cam found footage. A film that if you explained it especially the use of sound you wouldn't believe how using music, especially vintage music from the thirties, could be so bloody scary, and this is the genius of this film, and I can understand why music is used in the form of Tourture alongside sleep deprivation, because it is this mystical music that comes from nowhere and playing constantly for days, is what causes disorientation amonst the party. 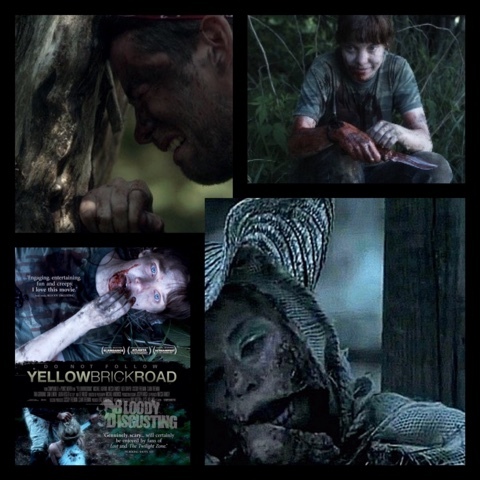 A film that is so much better than the recent Blair Witch, with that film being spoilt by the constant use of jump scares, well YellowBrickRoad is not that film, no jump scares, very little use of gore, but the film relies on your own sense of dread, you know something ain't right as a viewer, the moment they all collectively hear the music, this is a sign they should have all turned back, but with an urgency to keep traveling north, that slowly splits up the group, and eventually sending them all down a path of madness. 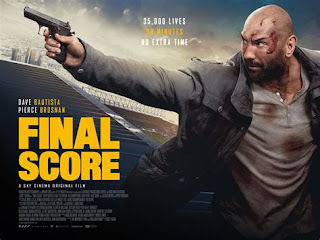 This film is not without its faults, the cast is a little bland, whilst the whole movie is incredibly well acted , not one of the group really stands out as someone we could care for, the dialogue in places is poor, or drags a little too much, especially the opening minutes that could've had a lot of dialogue edited out, and the early editing is a little strange. 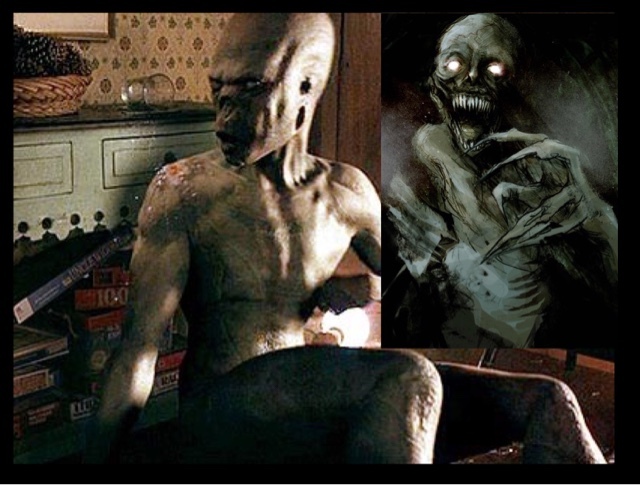 Once the film sets on its trail is where it comes into its own, the film is genuinely creepy, very unsettling, a film that didn't deserve to be so good, but it is, a film that unfortunately gets into your psyche and will truly make you think about it afterwards, a film that will stay with you. Averaging about 3/5 stars on most internet review sites I have to agree with a lot of them, the film is a decent chiller, with the best use of sound I have heard in a film for some time, a really surprising scary little movie, that I can recommend.